Abstract: Organizational Commitment has been conceptualised & measured in different ways. This study is an attempt to identify the factors influencing organizational commitment of banking sector employees in Chennai. It is also important as suggestions can be given to the banking sector in order to bring an awareness of the commitment level of employees. Gaining awareness of commitment level and the respective influencing factor will help concentrate on increasing the commitment of employees. Using the measures developed by Mowday; Steers and Porter, the researchers have exploited Factor analysis by Principle Component Method to identify the factors influencing the organizational commitment of employees of PSBs and NPSBs. Key Words: Organisational Commitment (OC), Public sector banks (PSBs), New private sector Banks (NPSBs), Work Commitment. characterize it by three psychological factors: desire to remain in an organization, willingness to exert considerable efforts on its behalf and belief in and acceptance of its goals and values hold. Becker (1960) made one of the earliest approaches to advance a comprehensive conceptual framework about the concept of commitment that presents a thorough perspective on the individual's relationship with the organization. According to this theory, committed employees are committed because they have totally hidden or somewhat hidden investments, “side-bets,” they have made by remaining in a given organization. The term “side-bets” was used by Becker (1960) to refer to the accumulation of investments valued by the individual that would be lost if he or she were to leave the organization. He argued that over a period of time certain costs accrue that make it more difficult for the person to disengage from a consistent pattern of activity, namely, maintaining membership in the organization. The threat of losing these investments, along with a perceived lack of alternatives to replace or make up for the loss of them, commits the person to the organization. Becker's approach sees a close connection between the process of commitment and the process of turnover. In fact, it identifies OC as a major factor in the explanation of voluntary turnover. Becker (1960) concept of commitment represents a component of attitudinal commitment because he emphasized the awareness of the costs associated with leaving the organization. However, their argument is untenable. Becker defined commitment as a consistent line of activity (i.e., maintaining membership in the organization) and attempted to explain what causes this inconsistency. Therefore, Becker's view of commitment seems to be more congruent with the behavioral rather than attitudinal approach of Porter and his colleagues. Alutto, Hrebiniak & Alonso (1973) Commitment, according to their study, was measured by evaluating the reasons causing a person to leave his organization. Porter, Steers, Mowday & Boulian (1974) focused on commitment with respect to the psychological attachment one had towards the organization. The attitudinal approach advanced by Porter and his colleagues attempted to describe commitment as a focused attitude, uncontaminated by other constructs such as behavioral intentions. Accordingly, commitment was defined by Porter and his supporters as the relative strength of an individual's identification in an organization”. Mowday, Steers & Porter (1979) Considered commitment as an alternative construct to job satisfaction and argued that commitment can sometimes predict turnover better than job satisfaction. Commitment was characterized by three related factors: (1) a strong belief in and acceptance of the organization's goals and values; (2) a willingness to exert considerable effort on behalf of the organization; and (3) a strong desire to maintain membership in the organization”. Mowday, Porter & Steers (1982) argues that the willingness to perform actions in support of the organization reflects more of a mindset rather than behavioral intentions, and therefore, items such as the ones above reflect the attitudinal approach of the OCQ. However, some of the critiques did convince researchers to be more cautious in the application of the OCQ. The solution found by these researchers was to use a shorter version of the scale, a 9-item version that omitted the six negatively phrased items or a 12-item version that omitted the three items supposedly dealing with turnover intentions. Due to the criticism of the scale, whether justifiable or not, the need for an alternative to the OCQ became evident, with the call coming from two sources. One of them was the O’Reilly, Chatman & Caldwell (1986) approach that was specifically advanced as a conceptual and operational alternative to the OCQ. Meyer & Allen (1984) aimed at an improved examination of the side-bet approach using scales more appropriate for their goal. Later on, it was the. Meyer & Allen (1984) methodological paper that became the dominant approach to OC. organizational values. Conceptually, O’Reilly, Chatman & Caldwell (1986) made a clear distinction between two processes of commitment, the instrumental exchange one and the psychological attachment one. The compliance dimension that represents the exchange process leads to a somewhat shallower attachment to the organization. The deeper attachment, according to O’Reilly, Chatman & Caldwell (1986), results from the psychological attachment formed by the two other dimensions, namely identification and internalization. Another interesting contribution of O’Reilly, Chatman & Caldwell (1986) was their view of the relationship between OC and outcomes. Meyer and Allen (1991) hold that organizational commitment is a multidimensional construct comprising three components: affective, continuance and normative. Affective commitment has been defined as an employee’s emotional attachment to identification with and involvement in the organization. Employees with a strong affective commitment will remain in the organization because they want to. Continuance commitment on the other hand has to do with one’s awareness of the costs associated with leaving the present organization. Employees whose commitment is in the nature of continuance will remain in the organization because they have to. The third component, normative commitment has to do with feeling of obligations to the organization based on one’s personal norms and values. Employees’ whose commitment to the organization is said to be of the normative type remains in the organization simply because they believe they ought to. Rubin & Buttlar (1992) conducted a study to examine the organizational commitment of high school library media specialists in Ohio by employing the measure developed by Mowday, Porter, and Steers (1979). Hovekamp (1994) explored the organizational commitment of professional library employees in unionized and non-unionized research libraries. Hovekamp (1994) employed the measure developed by Mowday, Porter, and Steers (1979). However, no attempt was made to evaluate the psychometric properties of the scale so far, as construct validity and internal reliability are concerned. Vandenberg and Sep (1994) concluded that the identification scale contributed nothing beyond the explanations already captured through the OCQ. Ko, Price & Mueller (1997) examined the Meyer and Allen scales and argued that there are conceptual problems with the scales and that those problems may be responsible for the psychometric difficulties found in the scales. Ko, Price & Mueller (1997) contended that Meyer & Allen (1984) did not offer a precise definition of commitment that embraces the affective, continuance, and normative components. They simply noted that what is common to the three components is a “psychological state” that links the employee to the organization, but it is not clear what is meant by this psychological state. Ko, Price & Mueller (1997) found a lack of discriminant validity of NC (e.g. normative commitment) is troublesome because it appears that there is considerable conceptual overlap between NC and AC (e.g. affective commitment). As indicated above, the normative component of commitment is based on the belief that it is the right thing to remain with the organization and that AC is attachment to the organization such that the strongly committed individual identifies with, is involved in, and enjoys membership in the organization. It is unclear how NC can be conceptually separable from AC. They concluded that because of the above mentioned problems considerable conceptual work needed to be done, and new measures should be developed to adequately assess the new conceptualizations. Meyer & Allen (1984) were aware of some of the problems associated with the three-dimensional scales. Throughout the years, some changes in the scales were proposed and tested. For example, a shorter 6-item version of the three scales was advanced, a revised normative commitment scale was also proposed, and a two dimensional continuance commitment scale was also suggested by Meyer & Allen (1991). While these changes did improve some of the psychometric properties of the scales, they posed a dilemma for researchers as to which version of the scales to use. Vandenberg & Sep (1994) suggested that employees have difficulty understanding the meaning of the items typically included in measurements of commitment in different stages in their organizational career. Fourth, the role of normative commitment and continuance commitment should be reexamined in commitment conceptualizations. The high correlations between normative and affective commitment also found in meta-analysis, and the bi-dimensionality of continuance commitment suggest the need for modifications of these dimensions Ko, Price & Mueller (1997). After reviewing the importance of organizational commitment in various studies discussed above the researcher has made an attempt to study the factors influencing commitment in the most important banking sector of a very important metropolitan city named Chennai. All the levels in select public and private sector banks except the clerical level (unavailable in the private sector) were studied using a standardized questionnaire. The method and findings are discussed below. The methodology of the study is based on the primary as well as secondary data. The study depends mainly on the primary data collected through a well-framed and structured questionnaire to elicit the well-considered opinions of the respondents. The study is confined to a few selected Public and New Private Sector Banks in Chennai. The researcher has taken 8 PSBs and 5 NPSBs located in Chennai City. Multi-Stage Random Sampling Method was used in the study to select the sample. A total of 120 questionnaires have been distributed and out of which 60 from PSBs and 60 from NPSBs were received. After the scrutiny of these questionnaires, 8 questionnaires from PSBs and 12 questionnaires from NPSBs were rejected on account of incomplete responses. Finally, 100 completed questionnaires were used for the present study. Multi-Stage Random Sampling Method was used in the study to select the sample. A multistage random sample is constructed by taking a series of simple random samples in stages. In a multistage random sample, a large area, such as a country, is first divided into smaller regions (such as states), and a random sample of these regions is collected. In the second stage, a random sample of smaller areas (such as countries) is taken from within each of the regions chosen in the first stage. Then, in the third stage, a random sample of even smaller areas (such as neighborhoods) is taken from within each of the areas chosen in the second stage. If these areas are sufficiently small for the purposes of the study, then the researcher might stop at the third stage. If not, he or she may continue to sample from the areas chosen in the third stage, etc., until appropriately small areas have been chosen-Valerie J. Easton and John H. McColl's Statistics Glossary v1.1). Similarly in this study out of the whole country Chennai is chosen as the first step, In Chennai whether public sector or private sector bank is the next stage of random sampling and in which level within private or public sector bank is the third step of random sampling. A total of 120 questionnaires have been distributed and out of which 60 from PSBs and 60 from NPSBs were received. After the scrutiny of these questionnaires, 8 questionnaires from PSBs and 12 questionnaires from NPSBs were rejected on account of incomplete responses. Finally, 100 completed questionnaires were used for the present study. The organizational commitment scale consists of 18 items. It was measured on a Likert’s 5 point scale ranging from strong agree, Agree, Neutral, Disagree and Strongly Disagree. This Questionnaire is independent of Age, Education, and Salary. Organizational Commitment Questionnaire (OCQ) by Mowday; Steers and Porter, was the scale that was used and its Cronbach’s Alpha Co-efficient was tested and found as 0.881. Sample items were: “I talk up this organization to my friends as a great place to work”, “I am proud to tell others that I am a part of my organization”, “I really care about the success of my organization”. variables, this score was used for further analysis. Principal component analysis is the most common method used by researchers. PCA starts extracting the maximum variance and puts them into the first factor. After that, it removes that variance explained by the first factors and then starts extracting maximum variance for the second factor. This process goes to the last factor. Factor segmentation was done and it is explained through the correlation values derived from the communalities table. Factor analysis by principle component method extracted 3 predominant factors as shown below: The total variance of the 18 items is found to be 84.901 which is significantly greater than the benchmark variance value 60%. The factor segmentation is revealed through the correlation values exhibited in the communalities table. In every factor the variables are loaded based on their high inter correlation coefficient values. Affirmative Commitment is the first factor and it was tested using items. The Affirmative Commitment (AC) is the emotional attachment to one’s organization. The items used were “I really care about the success of my organization – 0.960”, “I have Belief in and acceptance of the values and goals of the organization 0.956”, “I take pleasure in being a member of my organization - 0.950”, “I am proud to tell others that I am a part of my organization - 0.949”, “My organization is the best of all possible organizations to work - 0.801”, “I talk up this organization to my friends as a great place to work - 0.568”. Continuance Commitment is the second variable was measured using 6 items. The statements used were “My company inspires me to do my best in the way of job performance – 0.972”, “I will not prefer any other organization even if the type of work was similar – 0.946”, “I am willing to put in a great deal of effort beyond what is normally expected in order to help this organization be successful – 0.946”, “I feel I have too few options to consider leaving this organization – 0.927”, “I accept almost any type of assignment in order to keep working for this organization – 0.910”, “It would be too costly for me to leave my organization now - 0.883”, “I am glad that I chose this organization to work for over others at the time of joining – 0.490” Normative Commitment is the third variable and it was measured using 6 items. The items used were “My organization really cares about my well being – 0.907”, “My job requires all of my attention – 0.885”, “My organization helps me when I have a problem - 0.850”, “I am very loyal to my organization – 0.835”, “My organization takes pride in my accomplishment at work – 0.547”. The table 1 explains that among 3 commitments the affirmative commitment pocesses the highest variance of 31.102% followed by continuance commitment which has the variance of 27.411%; finally followed by normative commitment which has 26.388% of variance. On the whole Affirmative commitment is found to have the highest variance of 31.102% contributed by various items that were tested among the employees like “Care for organization success with was the statement with highest loading of (0.960) is found to be influencing the affirmative attachment of an employee with his organization. “Talking about the place of wok as great to friends” with a loading of (0.568) was found to be influencing affirmative commitment comparatively lesser than the other items. Belief in organization, belongingness feelings also influenced the employees’ affirmative attachment level to a moderate level. keep working for this organization 0.910”, “It would be too costly for me to leave my organization now - 0.883”, were the other items that had moderate influence on continuance attachment of employees in banks. Normative Commitment is the last variable with the least variance of 26.388% contributed by various items that were tested among the employees like “My organization really cares about my well being” with a loading (0.907) was found to be influencing normative commitment to the highest level. “My organization takes pride in my accomplishment at work” with a loading of (0.547) is found to have lesser influence on normative commitment. Others items like “Job attention 0.885, “ organization helps me 0.850”, “loyalty to organization 0.835” were found to have moderate influence on normative commitment of the banking sector employees. This study identified the factors influencing organizational commitment of banking sector employees in Chennai. Organizational Commitment Questionnaire (OCQ) by Mowday; Steers and Porter was used for the study. It is an 18 item scale that measured the commitment of employees and findings based on the loadings were reduced to three factors as per Principle Component Method namely Affirmative Commitment, Continuance commitment and Normative Commitment. In banks organizational commitment depends upon the optimistic and affirmative commitment of the employees. It shows a positive signal of the employees revealing the commitment and attachment of employees to the organization. It is also found that the bank employees are enthusiastic in reflecting their continuance commitment in their work environment to render maximum service to their customers. The organizational commitment of the bank employees is also emphasized through their normative commitment to their organizational goals. The banking sector has to ensure that the commitment level of employees based on the above discussed factors should be analysed to the extent of its influence in the organization and necessary action as to increasing the commitment level should be ensured. . It has been assumed by organizational behavior research that individuals who express high commitment in their jobs are likely to be more productive, have higher satisfaction and have less likely to resign than employees with low commitment. One day, Mouse Deer went down to the river to take a drink. But he knew that the crocodile might be waiting underwater to eat him, so he said out loud. “I wonder if the water’s warm. I’ll put in my leg and find out.” Of course Mouse Deer didn’t put in his leg. He picked up a stick instead and put one end into the water. Chomp…! Crocodile grabbed the stick and pulled it underwater. Mouse Deer laughed. “Ha… ha…ha… Stupid crocodile! Cant you tell the difference between a stick and a leg?” Then Mouse Deer ran off to drink somewhere else. “Really…? Tell us what to do,” said Crocodile. “You must line up from this side of the river to the other side,” said Mouse Deer. Crocodile then got all his friends and family. They lined up across the river. 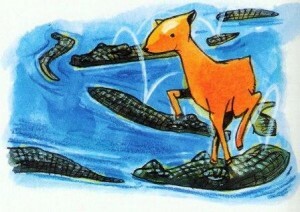 Mouse Deer then jumped onto Crocodile’s back. “One,” he counted. He jumped onto the next crocodile, “Two.” And the next crocodile, “Three.” Mouse Deer kept jumping until he arrived on the other side of the river. “How many are there?” asked Crocodile. “Just enough,” said Mouse Deer. He laughed as he ran to the forest. 1. Soften up the orange. Tightly squeeze or roll the oranges firmly with the palm of your hand across the counter or table to soften them up. 2. Cut the orange. Slice the orange in half and remove the seeds. If you want to go seedless, use navel oranges. 3. Juice the orange. Grip the one of the orange halves tightly and squeeze it by hand, using a plain juicer to coax all the juice out. 4. Add pulp. Scrape the orange with a spoon and add the pulp directly to the juice if you use a hand juicer. If you prefer clear juice, pour the juice through a strainer before drinking. 5. Drink up! Enjoy a crisp, cold glass of freshly squeezed, unpasteurized orange juice, the way it was intended to be!. 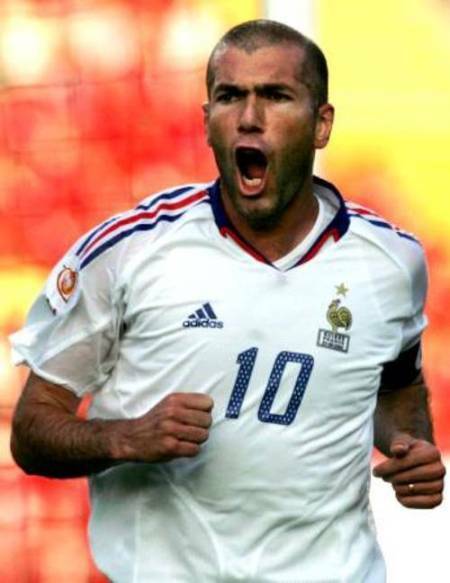 Zinedine Zidane born 23 June 1972 in Algerian Kabyle Berber descent.In 1953 his father Smail and his mother Malika emigrated to Paris from the village of Aguemoune in the Berber-speaking region of Kabylie in northern Algeria before the start of the Algerian War. The family, which had settled in the city's tough northern districts of Barbès and Saint-Denis, found little work in the region, and in the mid-1960s moved to the northern Marseille suburb of La Castellane. 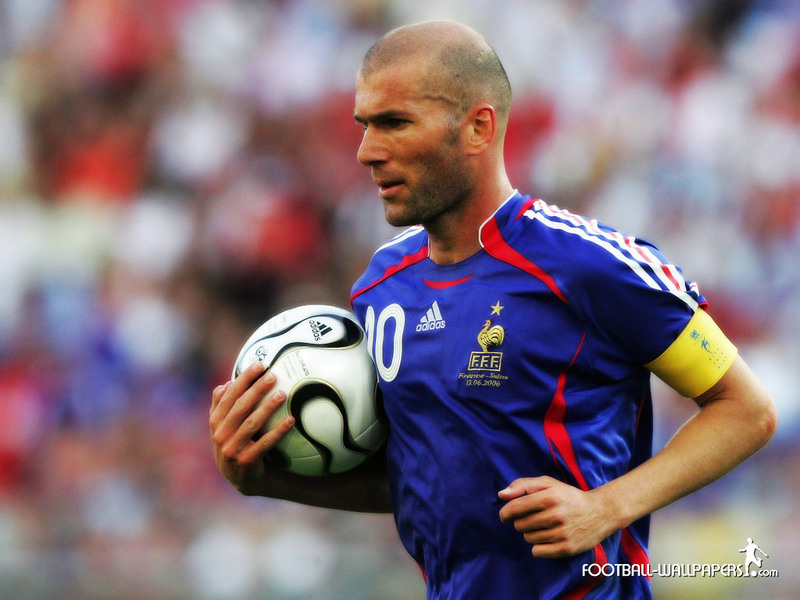 Zidane was born there as the youngest of five siblings on 23 June 1972. His father Smaïl worked as a warehouseman at a department store, often on the night shift, while his mother was a housewife.The family lived a reasonably comfortable life by the standards of the neighbourhood, which was notorious througho .Zidane played as an attacking midfielder.Zidaneis a retired French footballer he is one of the greatest footballers of all time. In 2005 Zidane retired from international football but returned to the national team.In 2002 World Cup an injury prevented Zidane from playing in France's first two matches.In 2004 he later participated to European Championship where France finished in the top of their group, but they were eliminated by the eventual winner of the competition, Greece, in the quarter finals. Zidane met his wife, Véronique Fernánde while playing for Cannes in the 1988–89 season. They have four sons: Enzo Zidane Fernández.Luca Zinedine, Zidane Fernández, Theo Fernández and Elyaz Zidane Fernández.